Being that it’s International Women’s Day we at FAR thought we’d share a video with you about FAR’s Berd Office team, who have operated FAR’s Breaking the Cycle of Poverty Program (BCPP)* for the past two years. 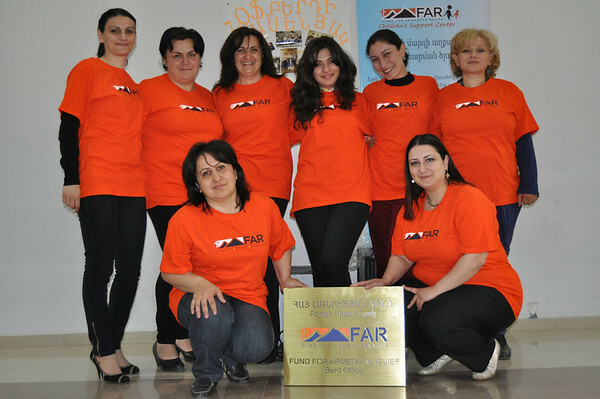 The team’s job is not an easy one, but these seven strong women social workers do their best to help 260 families in the city of Berd and several surrounding villages in Armenia’s Tavush Province. All of these villages are at constant risk from cross-border shooting. * Breaking the Cycle of Poverty, Developing Thriving Communities (BCPP) was founded by the Mardigian Family Foundation through the largest contribution ever made to FAR. BCPP Program is to comprehensively address social, economic, health, education and family issues in the Tavush Region.